We all have food memories, some good and some not so good. The taste, smell, and texture of food can bring back memories not just of eating food itself but also of place and setting. Recently I made a 3-layer strawberry cake. It’s perfect for summer time. The taste of it brought back memories of the first time I had the pink delight. 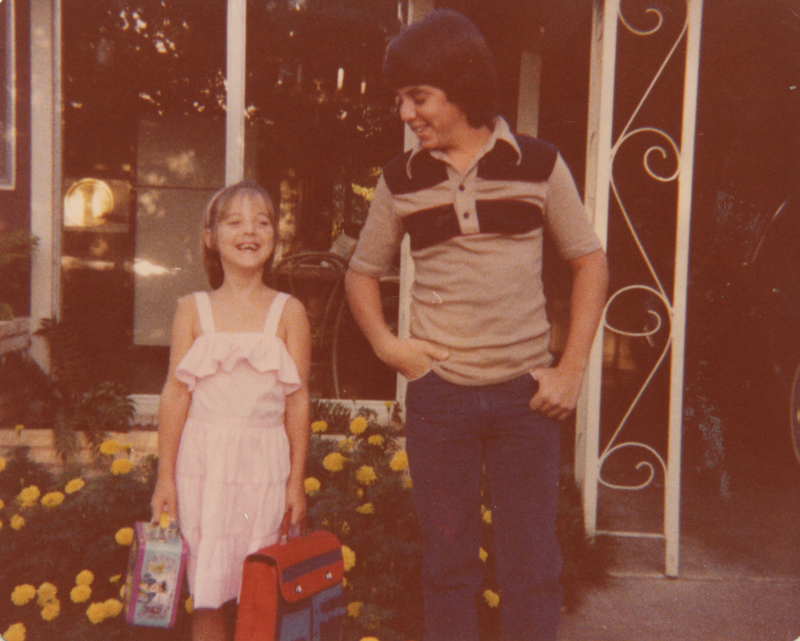 I was a young girl and we had just learned of my Uncle Wesley’s untimely death at 18. I remember being full of questions. I didn’t understand. I grieved silently. My Uncle Wesley was suddenly gone. 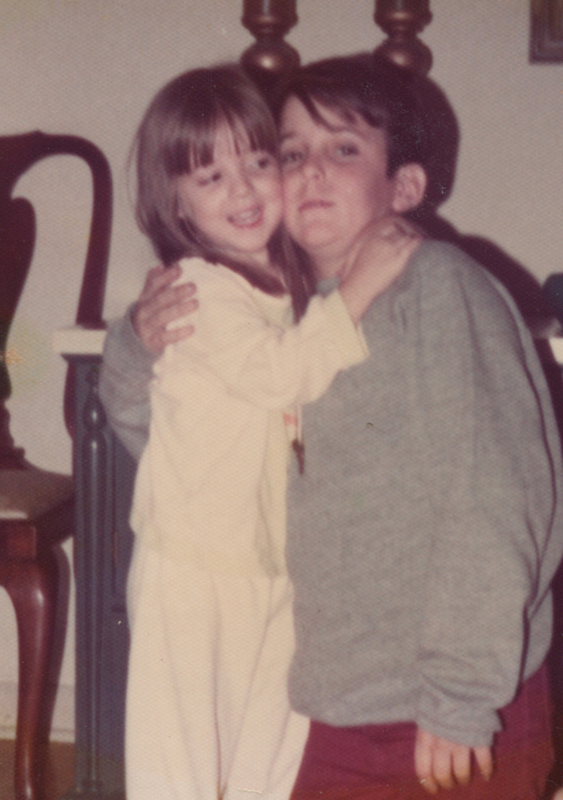 He was like a big brother to me. We always had fun together, life with him was adventurous. At his memorial reception, there was a smorgasbord of foods. 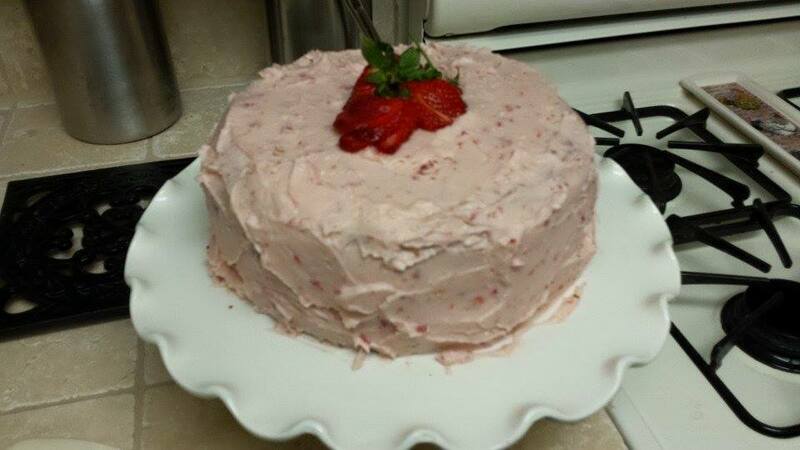 One item in particular took my taste buds and took my heart, a strawberry cake. Over the course of a couple of days, I made multiple trips to the kitchen, sneaking a piece whenever I felt the need. It was comforting. It was sweet. Satisfying to my soul. As I iced this masterpiece, it brought back sweet memories of my Uncle Wesley. He could be counted on to watch me from time to time. He made me laugh and he was always up for another round of board games (Monopoly, Sorry, Yahtzee). I hope you’ll try this Strawberry Cake this summer and make new memories that you’ll cherish forever. Don’t worry about making it multi-layered, make a sheet cake! 1.Make the Cake: Preheat the Oven to 350 degrees. Spray 3- 9 inch cake pans with nonstick cooking spray. Set aside. 2. In a large bowl, mix all cake ingredients with an electric mixer on low until just combined. Scrape the side of the bowl, and increase mixer to medium and beat for 3 minutes. 3. Pour cake batter into prepared pans and bake until a tooth pick inserted into the center of the cakes comes out clean, about 23 minutes. 4. Cool cake in pans on rack for about 10 minutes. Remove from pans and cool completely. If using the following recipe for Strawberry Buttercream refrigerate cakes until completely chilled. In a large bowl, beat the butter at medium until it’s pale yellow and fluffy. Add powdered sugar and strawberries and beat at low until well combined and creamy. Set in the fridge fo about 5-10 minutes to firm it up slightly. Spread one of the layers of cake with frosting then refrigerate. Frost the second layer and refrigerate until the frosting on both layers has firmed up a bit. Assemble all the layers and frost the top and sides. Decorate the top with sliced strawberries. Refrigerate!